It rained so hard last Sat. 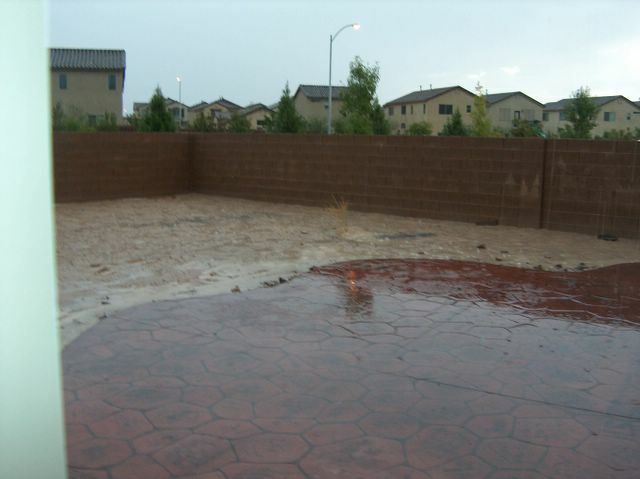 I think it was one of the times that it rained the most in Las Vegas. It rained all night on Friday. Here is some of the mud in my beautifully landscaped backyard:). Heh, we started on a patio slab at least.